Fully grown, fully blooming trees can add a touch of decor, privacy and beauty to any piece of property. Tree stumps can add just the opposite. Those who must deal with tree stumps have two options: remove it or wait for the tree to grow again. Those looking to remove it are best advised to hire a professional. Those who wish to do it on their own should research the best methods and practice common sense safety procedures. A tree stump can be dangerous and unsightly. One reason to remove tree stumps is to prevent the roots underneath from damaging sidewalks and foundations. Roots begin to increase in diameter over time and this expansion will start to crack sidewalks, driveways and other paved surfaces. Tree stump roots can also physically lift paved surfaces, making them more dangerous to maneuver around. 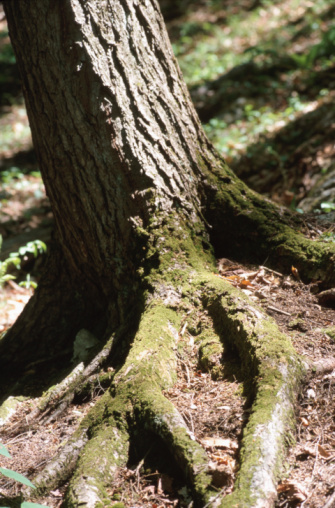 Tree stump roots are not strong enough to physically break sewer or water pipes underground. However, if the pipe already has a leak, the water from the leak can speed up the root expansion process, which leads to paved surfaces being penetrated through. When removing a tree stump, always make sure to remove the roots as well to avoid future problems. Tree stumps that are left around a person's property or home can decrease the overall beauty and decor of the area, and may lower property value. Tree stumps that are not removed will spread diseased wood to healthy trees and shrubs that are nearby. Tree stumps in a front or backyard can damage a lawnmower, as can the roots that penetrate from underground. Insects and pests, such as bees, hornets, wasps and termites, are attracted to tree stumps. These pests can easily invade other portions of your yard and home. 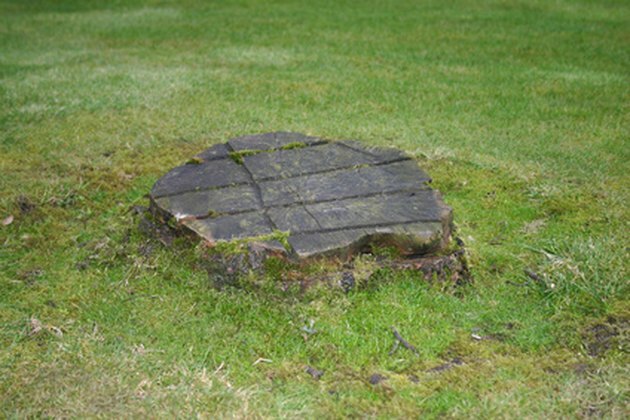 Those looking to remove a tree stump should, if possible, hire a professional to do the job. Attaching a chain from the tree stump to the back of your car or truck to yank it out may seem like a good idea, but many problems can arise. For example, the tree root may be too deeply embedded into the ground which can cause the chains to snap. Deep rooting can also cause damage to your vehicle, such as twisting the frame or removing the bumper. Instead of pulling the stump out of the ground, hire a professional to grind the stump down. Stump grinders are designed to destroy the roots of the stump and will reduce the stump itself to small wood chips and dirt, making it easier to dispose of. Tree stumps have the ability to sprout again and develop into fully grown trees. For those who do not wish to have the tree grow back, removing the tree stump and the roots underneath is the only option. To prevent the stump from growing into a tree again, simply cut the stump down to ground level. Apply either Epsom salt or rock salt over the surface of the remaining stump. Cover the stump with dirt and apply salt to any exposed roots. The salt will prevent the stump from regrowing.